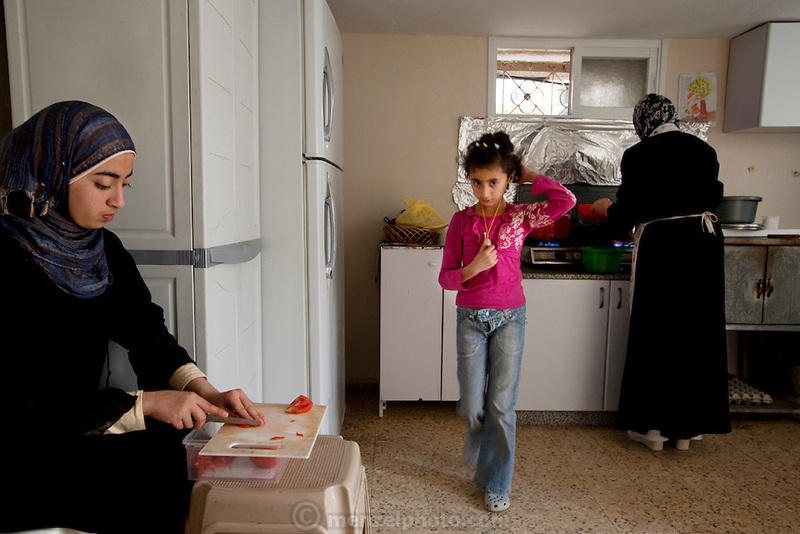 Abdul-Baset Razem's wife, Munira, tends to the makloubeh at the stove, while his daughter Mariam, 14, chops tomatoes at their extended family's home in the village of Abu Dis, East Jerusalem. (From the book What I Eat: Around the World in 80 Diets.) Their 8-year-old daughter, Maram, saunters through, escaping kitchen duties before the big weekend midday meal.